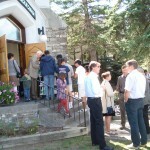 We like to think of ourselves as the Presbyterian Church of the Bow Valley, because our congregation is typically made up of Christians living as far to the west as Lake Louise and as far east as Cochrane. Most of us came to the mountains to work, play, and enjoy the beauty of God’s creation that surrounds us. When we look to the hills that surround us we see our Creator’s hand at work in them as well as in our lives. St. Paul’s church was established in 1887 with those of Scottish descent working the railways wanting a Presbyterian church to worship in during the summers. When the town of Banff opened its doors to the public for year round recreation, so did St. Paul’s. We believe our calling is to glorify God by fulfilling the Great Commission to make disciples of all nations (Matthew 28:16-20) and to live out the Great Commandments to love God with our hearts, souls, minds and strength to love our neighbors as ourselves (Matthew 22:34-40). Minister: Rev. 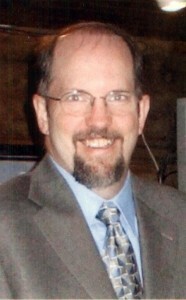 Clay Kuhn (serving St. Paul’s since 2004) has served congregations on both east and west coasts.